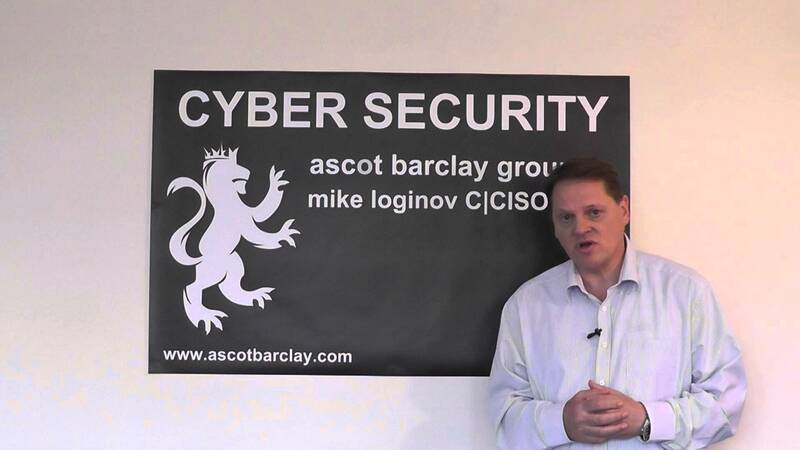 Ascot Barclay Group provides the services a CISO needs to manage the Cyber risk of a company. A trusted partner that advises clients from the basics to the strategic implementation. Cyber Essentials to a hacker hardened environment in a fully certified and compliant way, Cyber Essentials ISO27001, NIST and much more! As 2017 has borne witness to a step change in the veracity, scale and breadth of hacking activity from all the usual suspects, niche cyber security consultancy Ascot Barclay Group have resolved to de-construct the role of the CISO who should sit as the architect and owner of an organisation's defence posture. 'We knew that the CISO role was immature and that many had adopted the title who patently weren’t qualified, but we hadn't properly understood the scale of the problem nor the huge frustration being felt by hiring authorities who were suffering from both the specification uncertainty and the rarity of real CISO's who might fit any given brief. It's a confused mess.' Tim Vincent CMO says. The model is iterative – so rather than a binary right vs wrong you are looking at the bias of the individual. The fact that it's not a test has made it popular with leading CISO's who whilst keen to highlight their prowess also recognise they aren't all things to all men and appreciate the acknowledgement that they might need complementing to nail some aspects of the role or other. The findings led naturally to the further development of the CISO as a Service or Virtual CISO models that ABG offer to the point where they actively discourage the appointment of a single individual. When viewed backwards through the Equifax lens this all makes perfect sense and more Boards are beginning to see that the gravity of the Cyber ask warrants more than one man or woman should realistically own. Whilst there is no sole product that presents as a silver bullet to the organisations vulnerability there is a single leadership change that can entirely reset the posture and it likely looks more or less like the ABG CISO as a Service. Ascot Barclay Group are a mature, multi award winning cyber security consultancy renowned for their seven-step model to HACKER HARDENEDTM that helps clients see clear to the goal and more importantly take one affordable step after another to getting there. Mike Loginov is a commentator and presenter on the International Cyber Security Speaker Circuit. He is also regularly quoted in this leading security publication as an authoritative.